Federer was proud of the way he played and of his level of fitness after reflecting on the tournament in California. He expressed how pleased he was about the lack of injures he has suffered despite playing daily for the past few weeks. The 37-year-old lost 3-6, 6-2, 7-5, in little over two hours on Sunday, as Thiem claimed his first Masters 1000 title. 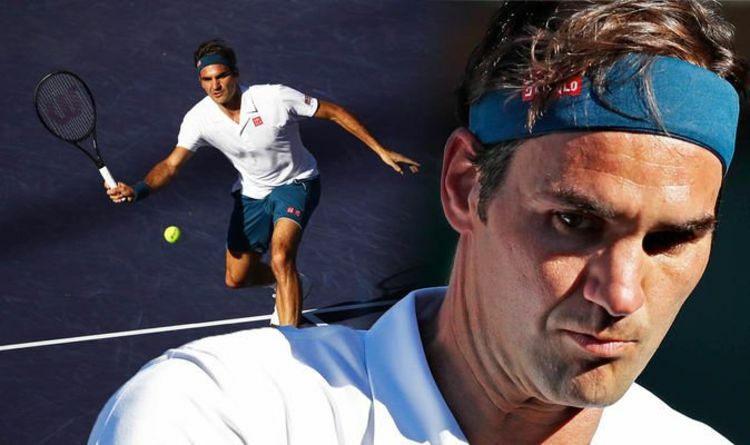 Federer was found wanting in the BNP Paribas Final for the second consecutive year, but the Swiss will now turn his attention to the second Masters 1000 tournament of the year – the Miami Open. “The body is perfectly fine,” Federer said. “That also always keeps me upbeat, and I feel it’s a privilege when I feel this way leaving a tournament. “I have been playing every single day for the past three weeks. I can be very happy and proud of that fact. Thiem’s victory over Federer means the young Austrian will now bypass him in the rankings as the 25-year-old returns to a career high 4th place. Federer had previously won 20 consecutive finals when he had claimed the opening set, but Thiem hadn’t read the script. “I’m not too disappointed. I feel like he had to come up with the goods, and it did feel like to some extent it was on my racquet,” Federer said. “[I] just came up against somebody who was, on the day, a bit better when it really mattered. “That’s how it goes. Sure, it’s frustrating and disappointing and sad to some extent. Federer took the opening set, but Thiem claimed the second to take the match into a decider. Thiem battled with injury and pushed himself to the limit, as he built momentum in the final set. After taking his first championship point the Austrian collapsed onto the court in celebration. “I’m happy for Dominic, winning his first Masters 1000, as well. It’s a massive event to win,” Federer said. “I just got my 100th in Dubai, and I had a good week here. Really, there is no reason to get down.